You may remember OK GO from their 2007 break-through Here It Goes Again, which was as well know for its clever video as it was for its catchy-as-all-get-out hooks. 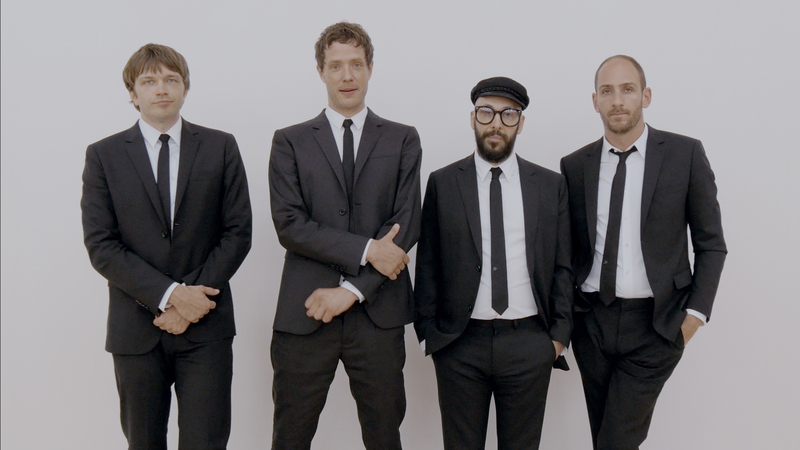 Well, OK GO is back on the road for an extensive North American tour in support of their latest effort, Hungry Ghosts . Kicking things off on Friday March 20 in Santa Cruz, the tour will run into May and wrap-up in Los Angeles at the Wiltern. Having not forgotten their roots, the band has released two new videos which, in the spirit of previous works, have already gone viral and gathered a collective 35 million views on YouTube. Hopefully they bring the scooters and treadmills on tour with them. Sun 04/12/15 – Baltimore, MD @ Rams Head Live!